Buy 10 or more for $32.29 each. A variety of perspectives exist within the Christian community when it comes to political issues and political involvement. Comprehensive and readable Politics According to the Bible presents a political philosophy from the perspective that the Gospel pertains to all of life and therefore argues that Christians should be involved in political issues. Then he explains the biblical teachings about the purpose of civil government and the characteristics of good or bad government. Does the Bible support some form of democracy? Should judges and the courts hold the ultimate power in a nation? 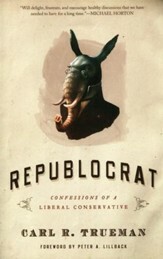 With respect to specific political issues, Grudem argues that most people's political views depend on deep-seated assumptions about several basic moral and even theological questions, such as whether God exists, whether absolute moral standards can be known, whether there is good and evil in each person's heart, whether people should be accountable for their good and bad choices, whether property should belong to individuals or to society, and whether the purpose of the earth's resources is to bring benefit to mankind. 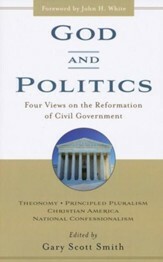 After addressing these foundational questions, Grudem provides a thoughtful, carefully-reasoned analysis of over fifty specific issues dealing with the protection of life, marriage, the family and children, economic issues and taxation, the environment, national defense, relationships to other nations, freedom of speech and religion, quotas, and special interests. He makes frequent application to the current policies of the Democratic and Republican parties in the United States, but the principles discussed here are relevant for any nation. A variety of perspectives exist within the Christian community when it comes to political issues and political involvement. 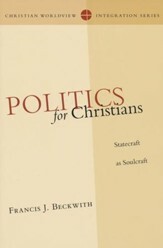 This comprehensive and readable book presents a political philosophy from the perspective that the Gospel pertains to all of life so Christians should be involved in political issues. In brief, this is an analysis of conservative and liberal plans to do good for the nation, evaluated in light of the Bible and common sense. 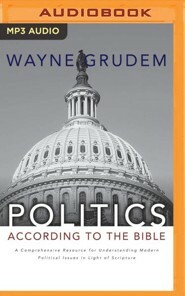 In this ground-breaking book, recognized evangelical Bible professor Wayne Grudem rejects five mistaken views about Christian influence on politics: (1) compel religion, (2) exclude religion, (3) all government is demonic, (4) do evangel-ism, not politics, and (5) do politics, not evangelism. He proposes a better alternative: (6) significant Christian influence on government. Then he explains the Bibles teachings about the purpose of civil government and the characteristics of good or bad government. Does the Bible support some form of democracy? Should judges and the courts hold the ultimate power in a nation? 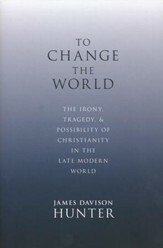 With respect to specific political issues, Grudem argues that most peoples political views depend on deep-seated assumptions about several basic moral and even theological questions, such as whether God exists, whether absolute moral standards can be known, whether there is good and evil in each persons heart, whether people should be accountable for their good and bad choices, whether property should belong to individuals or to society, and whether the purpose of the earths resources is to bring benefit to mankind. After addressing these foundational questions, Grudem provides a thoughtful, carefully-reasoned analysis of over fifty specific issues dealing with the protection of life, marriage, the family and children, economic issues and taxation, the environment, national defense, relationships to other nations, freedom of speech and religion, quotas, and special interests. He makes frequent application to the current policies of the Democratic and Republican parties in the United States, but the principles discussed here are relevant for any nation. 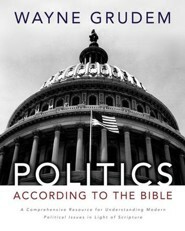 I'm the author/artist and I want to review Politics According to the Bible: A Comprehensive Resource for Understanding Modern Political Issues in Light of Scripture.